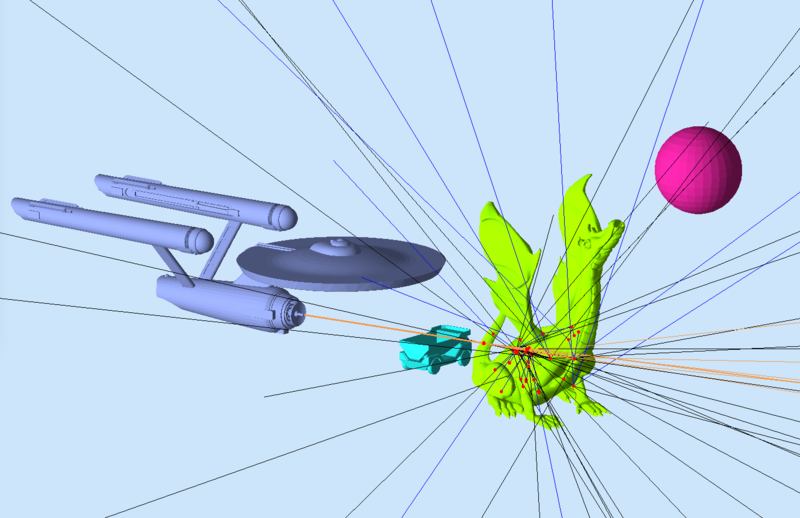 In this example the USS Enterprise shoots protons torpedoes at a dragin. use the Camera GUI to make cuts, select perspective view, etc. use the Generator GUI to select the type of “torpedoes” (primary particle) and their number. Shoot the torpedoes at the dragon!